Great, successful businesses begin with a clean, healthy work environment. A tidy office keeps you feeling uplifted, increasing energy levels and productivity. Green Clean Ohio has been the leader in providing healthy work environments by providing commercial carpet cleaning services in Ohio since 2006. We specialize in deodorizing, and disinfecting any, and all carpets. With the amount of traffic a business place encounters each day, think about the amount of dirt, pollutants, bacteria, and allergens a carpet must accumulate. Over time, all of these factors can lead to many health problems, affecting the staff and productivity. Why wait for the harmful effects to show when you can have Green Clean Ohio remove all those pollutants, bacteria, and allergens. Our friendly, skilled staff is trained and well equipped to clean carpets at any major facility……..stores, schools, churches, medical facilities, offices, nursing homes, day care centers, etc. We provide flexible scheduling, whether you need a one time job done, bi-weekly, weekly, monthly, you name it, we’ll do it. Our rates are the most competitive you’ll find in Cleveland, Akron, Columbus and surrounding areas for the quality of service. For fast, reliable, affordable commercial carpet cleaning services in Ohio, call 216-834-3400. Offices encounter a lot of heavy, soiled traffic daily, which needs to be treated on a regular basis. Having clean, fresh smelling carpet is essential to maintaining a happy, healthy work environment. 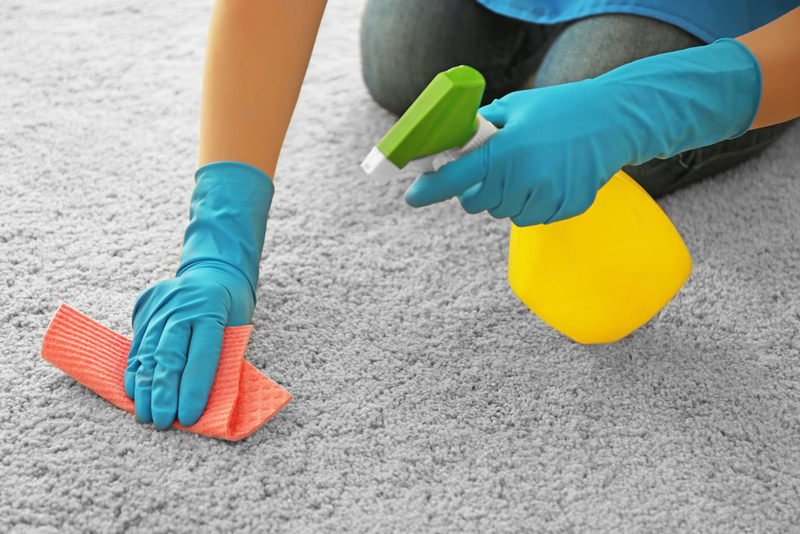 The highly skilled staff at Green Clean Ohio can provide you with just that……fresh, clean, healthy carpets. Green Clean Ohio offers the best professional carpet cleaning methods and products to help maintain and extend the life of your carpet, leaving your carpets clean and fresh, and your staff happy and healthy. Green Clean Ohio will happily evaluate your needs and work with you and your scheduling to find a suitable time to have your carpets cleaned at very affordable rates. With Green Clean Ohio, you can provide your staff a clean, healthy work environment, while remaining on a budget. Call Green Clean Ohio now. Finding a professional window cleaning company in Ohio is as simple as calling. When you call Green Clean Ohio to clean your windows, you’re getting the local experts. We approach every job with the same level of perfectionism. The end result is windows that sparkle. We’ll thoroughly clean your interior and exterior windows, sills and screens to your specifications. You’ll be amazed at how light and bright your office feels! With over 12 years in the commercial cleaning business in Ohio, we’ve built a reputation as a leader in the industry. When you call Green Clean Ohio to clean your facility’s windows, you’ll get a crew armed with quality squeegees and a can-do attitude! Every part of your windows will be thoroughly (yet gently) cleaned to remove debris, spots and splatter. Your screens will be cleaned as well and the sills wiped clean and dry. All we’ll leave behind is shine! Call Green Clean Ohio today for a professional cleaning of your windows today at 216- 834-3400. If you’ve got dirty windows in Ohio, Green Clean Ohio can clean them! The experts at Green Clean Ohio have been in the commercial window cleaning business since 2006. Put our professional crews to work and the results will speak for themselves. If it’s been a while since your interior and exterior windows have been cleaned, you’ll be amazed at the difference in your work environment. Window cleaning will give your office or facility a brightness and lightness you forgot could exist. We’ll remove dirt, debris, bird droppings and more, all while protecting your glass from scratches or etching from harsh chemicals. And more! Call for a quote! When you call the experts at Green Clean Ohio to clean your commercial windows, you’ll get a service that is detailed and complete. Inside, outside, frames, and sills will all be cleaned with care. In the end, you’ll have gleaming windows, clear of spots or streaks. Call today for a free, no obligation window cleaning quote. The commercial cleaning crew here at Green Clean Ohio takes great pride in creating and maintaining gleaming hard surface floors in Ohio. Floor stripping and waxing is what we do best! We’ve been stripping, waxing and buffing floors to perfection since 2006. Give us a call at 216-834-3400 today for a free, no obligation assessment of your flooring and a fair and honest quote for maintaining it. Whether you are looking to spruce up a tired, neglected marble floor, or your VCT tile flooring is buried under layer after layer of wax, Green Clean Ohio can get your flooring back to a shiny, clean state. and more! Call for a quote. Regularly maintaining your flooring in Ohio will keep them looking fresh and clean, and will extend their life. Marble and Granite must be regularly dust mopped and cleaned with mild detergent. Regular buffing or burnishing will keep them gleaming. Depending on the foot traffic you endure, we’ll get you set up on a maintenance schedule best suited to your needs. VCT flooring should be stripped and scrubbed to remove old built up wax, then dried thoroughly prior to an application of fresh wax. Again, depending on the amount of traffic you receive, we’ll maintain them, daily, weekly, monthly or quarterly, to your specifications.